Thanks to Spectrum for putting on an excellent race yesterday up at Birchwood, Warrington. Opening the curtains on Sunday to a fresh dump of snow put a seed of doubt in place over the run going ahead. 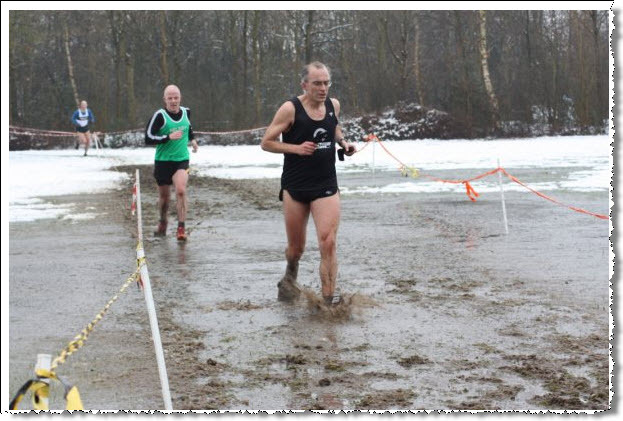 Shouldn’t have worried, the race was on and the snow only added to the fun. As did the Icey Puddle of Doom (a trench of mud and slush, barely above freezing point). Still at least we only run through it 4 times. After a good half lap of running the feeling came back into my toes ….just in time for the Slippery Banks of Dread, a set of steep rollers with no other purpose than to sap your leg strength. Good runs from Ian, Steve and Andy S completed the Helsby turn-out. 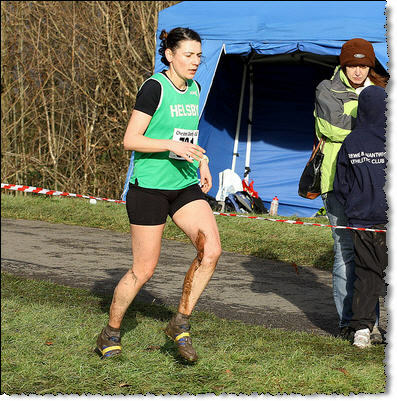 Really you’d be mad to not try a cross-country at least once in your running career. …luckily for you it’s not too late. Normally Birchwood closes the season, but this year we’ve got a bonus event on 7th March with the rescheduled Runcorn Town Park. Again a good course. Have a go! Pic from Mick Charman‘s set on the Spectrum site. 4 Helsby runners made the start line and very well done to Roy Tunstall who took home the shiny gold medal for his age category! Conditions were ideal for running but maybe a little cold for watching. The ground wasn’t as muddy as expected with some people using trainers instead of spikes. A very enjoyable afternoon out. Hopefully a link to some photographs will follow. Positions of Helsby runners as below. Please note the next xc is the spectrum organised North West Series at Birchwood Forest Park on Sunday 21st Feb 11.00am.